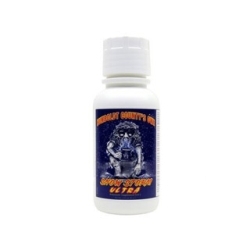 If you like Purple Maxx/Snow Storm, but color is not your primary goal, then Snow Storm Ultra is for you. We isolated the snow storm effect and optimized it for maximum results. Does not contain carbohydrates or molasses. Three years of development went into this Humboldt County original. Best of all, this additive works with all your favorite nutrient lines. 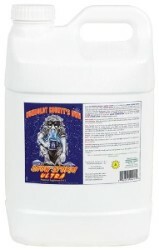 When used with Gravity, Snow Storm will take your plants beyond anything achievable with fertilizer alone. It's important not to overfertilize. It's very necessary to run nutrient concentration above 1000ppm. Soil: Start applying during vegetative state at the rate of 1/2 tsp per gallon of water. Continue at this rate until 3 or 4 weeks into bloom and increase to 1 tsp/gallon. 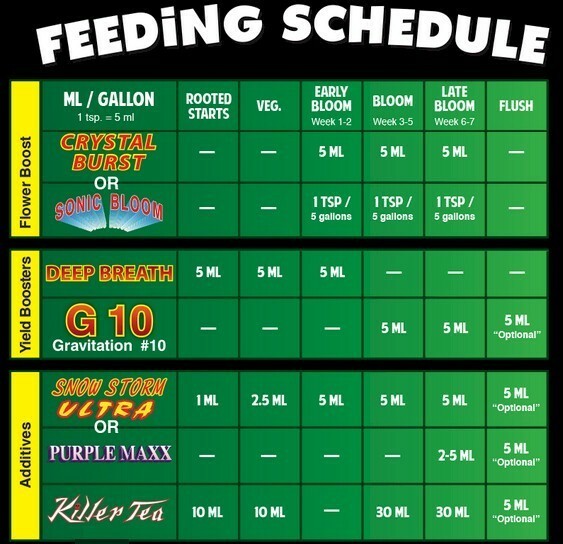 The last 3 weeks of bloom the dose can be increased up to 2 tsp/gallon. Hydro: Use 1/2 tsp per gallon and run continously. Be cautious if running nutrients over 800-1000ppm. For example, running 5ml/ gallon at 1200ppm can drop reservoir to 800ppm in 24 hours. Some strains can take it, some can't. Foliar: Much more economical . 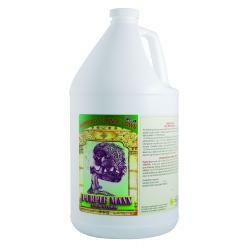 Use 1/2 to 1 tsp per gallon of water and apply once a week. Use caution once flowers bulk up. Not for sale in the following location(s): AL, DE, HI, IA, ID, KS, MS, ND, NH, OR, RI, SC, SD, UT, WV, WY. 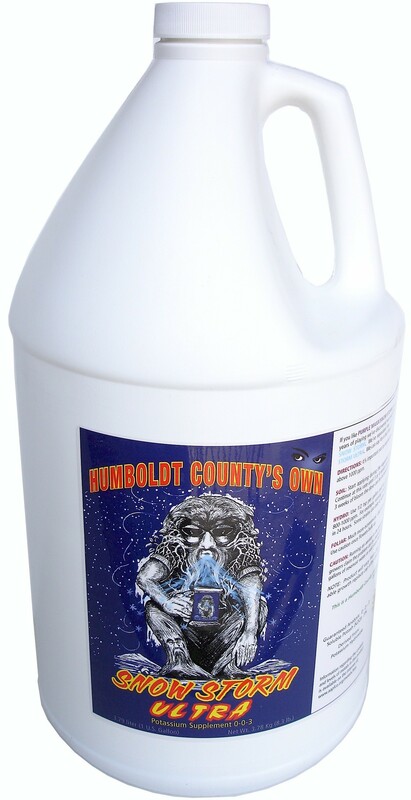 Emerald Triangle Snow Storm Ultra 2.5 Gal.